Home care agencies in The Grand Strand know that just because seniors slow down, it doesn’t mean they always stop their activities altogether. 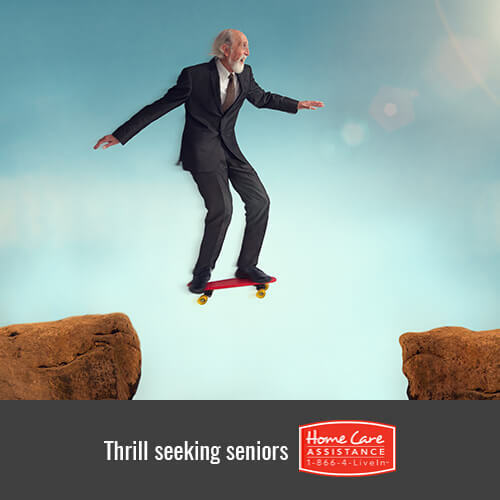 Take it from the following thrill-seeking seniors. Even though they’re over the age of 65, they still follow their passions. Born in 1948, Meng is Malaysia’s oldest mountain climber. He began climbing as a hobby in his 40s and has already scaled many mountains including Mount Fuji in Japan and Mount Kinabalu in Southeast Asia. In 2016, Meng prepared himself to climb Mount Everest, but he had to cancel the climb due to severe weather. Shepard is a 74-year-old NASCAR legend who began his career in 1967. He currently has 19 wins in NASCAR’S top two series. When he’s not on the track, he runs his own business and spends endless hours building the very cars he plans to race. Shepard is also passionate about his religion and is a devout Christian who leads a ministry. Born in 1926, Sing is a senior daredevil who started skydiving in 1996. Last October, he celebrated his 90th birthday by jumping out of a plane in Wollongong, Australia, with his family. He is currently the oldest skydiver listed in the Singapore Book of Records. Sullivan is 69 years old and the world’s oldest active motorcycle jumper. In 1970, he completed his first professional jump that involved flying through a fierce wall of fire that wowed audiences. From 1969 to 1972, he had the honor of being Evel Knievel’s personal bodyguard. Recently, Sullivan kicked off his summer “Jump for Jesus” tour near his home in Billings, MT. Born in 1931, Wilkins is a daredevil from Clevedon, England, who completed his 40th skydive in 2015. In 1959, he first discovered his love for skydiving while serving as a paratrooper. When he isn’t falling from the sky, he devotes his time to the Bristol Children’s Hospital taking donations and recruiting individuals to skydive. Price is a passionate 82-year-old skydiver and a retired teacher. She claims she used to be terrified of heights before she took her first skydive when she was 54. Amazingly, Price has clocked over 1,100 jumps, and she has no plans of stopping her thrill-seeking jumps any time soon. Staying active is a big part of maintaining longevity and wellbeing. Your loved one may not be an adrenaline junkie, but with help from Home Care Assistance, he or she can still enjoy activities and exercise. 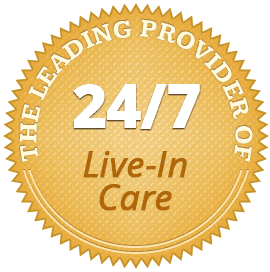 We are the leading provider of live-in and hourly home care The Grand Strand seniors can trust to boost physical and mental wellbeing in the comfort of home. Call (843) 353-3105 today to learn more about how your loved one will benefit from our services.